Direction of use: Gently massage to face & neck and remove with a cotton pad or water. Wintocare Face & Body Lotion leaves your skin feeling healthy, soft and smooth. It provides multi-layer moisture at the top, core and deep down layers of the skin, absorbing quickly – without greasiness. - It is readily available in 500ml pack size. We are offering range of Face Lotion. These are processed using natural & herbal ingredients, procured from reliable vendors of the market. 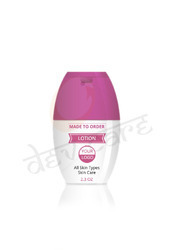 These lotions are widely used in the market. These are available at industry leading prices. These makes our skin more glow and protect from pollution. A purely Herbal Product which helps in keeping skin free from blemishes, hyper pigmentation, sunburn and freckless. A unique formulation with natural ingredients, Kai Fairness Lotion provides vital nourishment to the skin with its advanced moisturizing formula. Its natural action removes dead skin andrevitalizes skin cells, gives fair and younger looking skin. - Cetyl Alcohol 2.650% w/w. - In a lotion base with Propylene glycol. Face Cleansing Lotion Vitamin C | Lemon Rs. 600 | 30 Sachets An amalgamation of Vitamin C and Lemon Extract that detoxifies the skin, removes dirt, sweat, excess sebum and bacteria. It also rehydrates and helps in maintaining a firm and youthful skin. Moisturizing the face helps to look and feel younger. The skin will be softer, more elastic, and hydrated. We offer best quality Face Lotion. Face Lotion is an affordable way to moisturize your skin. With regular use you can also improve skin elasticity and softness.